Your favorite characters from Harry Potter are adorable Pop! Vinyl figures! 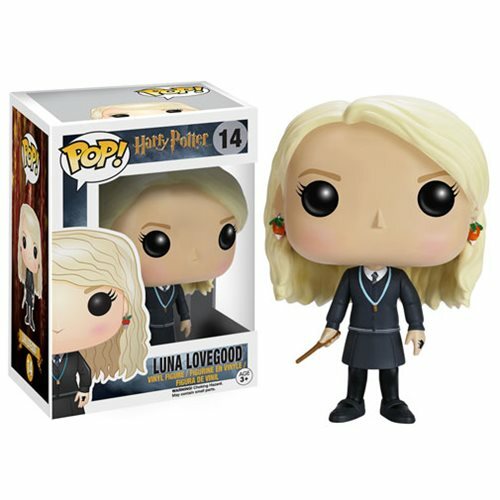 This Harry Potter Luna Lovegood Pop! Vinyl Figure features the Ravenclaw ally to Harry, holding her wand at the ready. Standing about 3 3/4-inches tall, this figure is packaged in a window display box. Ages 3 and up.